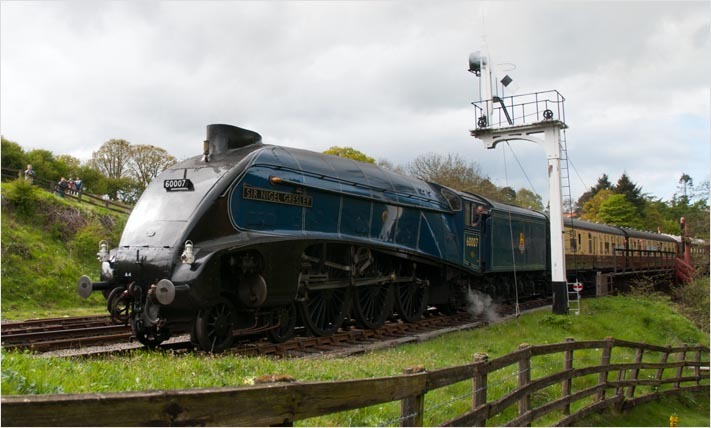 This locomotive is a mainline steam locomotive and when not at the NYMR is often on mainline steam. In 2018 it is at the NRM workshop under going its 10 year overhaul. 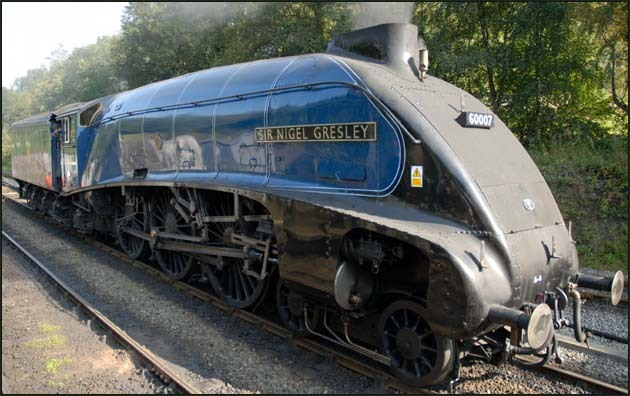 A4 Sir Nigel Gresley at the NYMR waiting for the off, on the 6th of May 2007. The railway was run by the NER. It then became part of the LNER. BR then took over and line. 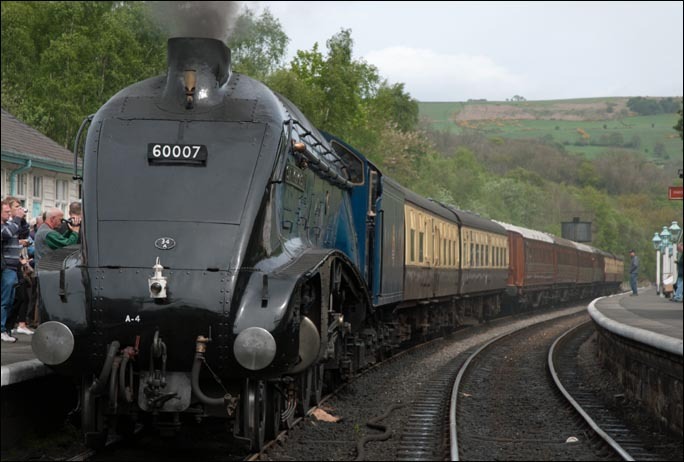 It was closed by BR, only to then be reopened by The North Yorkshire Moors Railway. Today EWS, East Coast, Central trains and EWS are just some of the names you can see on the trains. These names keep changing, but that means I have to keep taking photos. I also take photos of preserved railways like the North Yorkshire Moors Railway with steam diesel and electric trains.There is still lots more to add and I keep taking more photos.